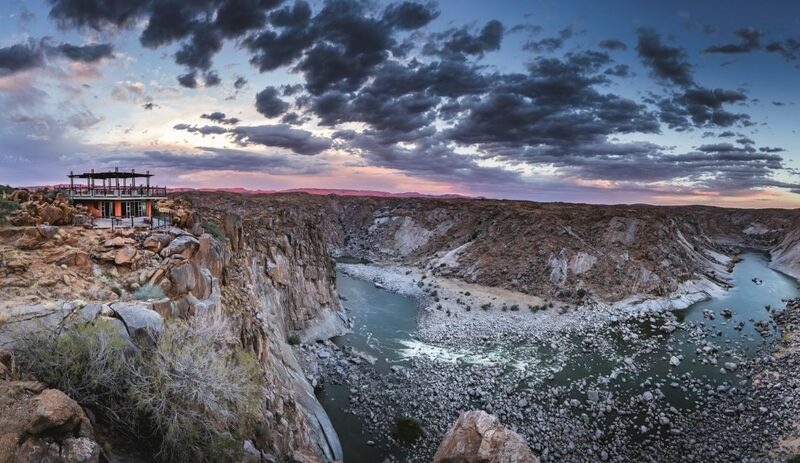 There’s a good reason the Otter Trail is described as the crème de la crème of South Africa’s hiking routes. Aside from breathtaking coastal landscapes, the hike delivers unforgettable experiences. How would you like to stay in a secluded log cabin or have a beach all to yourself? The Otter Trail starts in the Storms River Mouth Rest Camp in the Garden Route National Park and makes its way to the spectacular Nature’s Valley. Covering a total distance of 42.5km, this pristine five-day trail encompasses land, sea and mountains. Imagine swimming in a waterfall, spotting the Knysna touraco, discovering indigenous fauna and flora, and meandering along picturesque beaches. On day one, a 4.8km walk of about three hours, an incredible waterfall awaits on the way to the first overnight stop at Ngubu Huts. This is a good spot to take a breather and have a swim. Yes, the water at the waterfall is indeed very cold, but we found it refreshing and inviting. Depending on when you start, you could even enjoy lunch here. 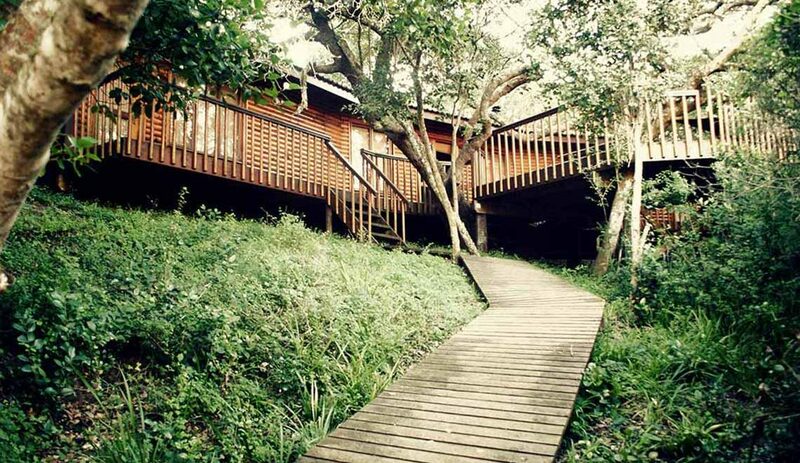 At Ngubu Huts there are two wooden huts, each with two bunk beds sleeping three people. A new addition is that hikers can now take a cold shower here. Although the first day’s hike is quite short, it’s a taste of what’s really to come. A picturesque spot for a refreshing waterfall swim. The view from Ngubu Huts. Can you smell the sea breeze? Day two is a tough 7.9km (± five hours) hike to the second stop, Scott Huts, which is situated on the Geelhoutbos River. We found the hills really take their toll – remember that there is no rush. Passing Bloubaai beach is definitely a highlight, but to head down to the shore you will have to manage the 500m descent. Our solution? We left our backpacks on the main trail and took only the necessary. Make sure to check out some of the viewpoints for awesome photographs. Oakhurst Huts is day three’s stop – a 7.7km (± five hours) hike. The secluded huts sit on the banks of the sea and the Lottering River. The views are simply mesmerising. Be prepared to get wet, though! To reach the huts you will need to cross the Geelhoutbos and Lottering River. Be aware of the tides as this can make the river crossings a tad challenging. We reached the Geelhoutsbos and Lottering Rivers as the tide was starting to come in, so the Geelhoutsbos was ankle deep and in the Lottering we were wading a bit. We were lucky that we got to both rivers just in time! Who would not want to spend a night at the picture perfect Oakhurst Huts? Crossing the Lottering River is quite the experience, but take note of the tides. Day four involves the longest distance. 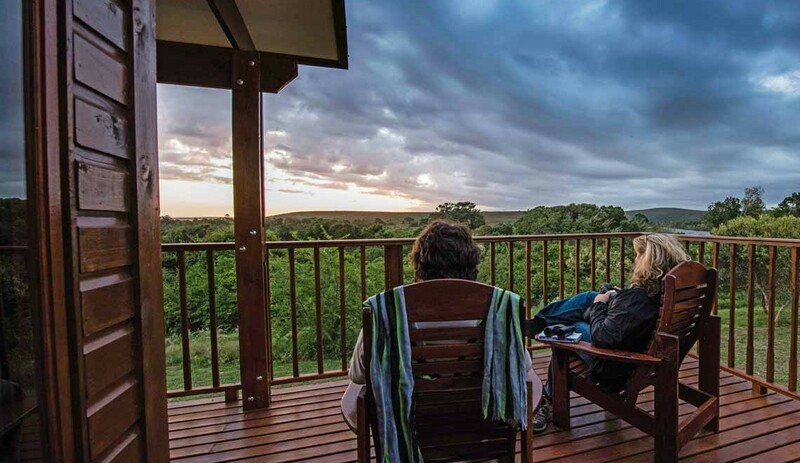 After covering 13.8km (± seven to eight hours) you will reach Andre Huts right next to the Klip River Mouth. It’s ideal to make an early start and don’t forget to have a look at your tide chart – crossing the Bloukrans River during high tide can be daunting and waterproof survival bags are a must! Prepare for two steep hills soon after the crossing. The most difficult about day four was getting up to speed again after the Bloukrans crossing; your muscles cool down and you feel relaxed from the swim. The terrain after Bloukrans was treacherous with killer hills. You would go up a hill thinking you’re almost at the top, but then round the corner and find the end is not in sight yet. For two ladies in our group the last 1.5km proved almost too much. On the last day (7.8 km, ± three to four hours) the trail takes you to Nature’s Valley’s De Vasselot Hut. We loved the cosy forestry sections en route to the final destination – they are simply packed with exquisite fynbos. The day starts with a tough climb after crossing the Klip River Mouth. Remember to sign out at De Vasselot and head to the restaurant in Nature’s Valley – just the way to celebrate the end of the king of hiking trails. How did I feel at the end of the trail? I felt sad knowing that I would have to go back to the hustle and bustle of the city, but it was such an amazing experience that I would do it all over again in a heartbeat. I didn’t want the trail to end. It was like walking along a long line of masterpieces. It was hard work, but well worth all the blood, sweat and tears! Looking down from Andre Huts admiring the sunset. 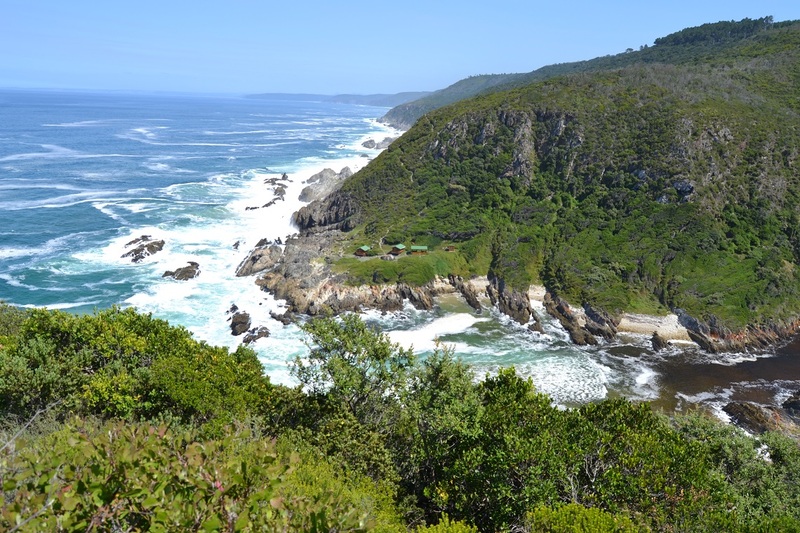 Nature’s Valley is nestled in the Tsitsikamma section of the Garden Route National Park’s coastal forest. Keep an eye out for the elusive otter. Top up your water bottles at all demarcated water points on the map. Be fit! We had no idea how physically demanding the hike would be. Book well in advance to secure your spot. Pack and carry only the essentials. Find out more about tariffs, availability, how to reserve and other useful information. Well presented, we booked for May 2017, is the rainy weather in then?